In the future, reading is rare and forbidden. Books have been eliminated by the controlling power known as Fell. The printed past has been forgotten. But The Nine of the Rising made plans. Plans to help future generations remember. On the night before her seventeenth birthday, Noelle Hartley’s secret penchant for words leads her to a mysterious volume linked to an underworld of rebel book lovers known as The Nine of the Rising. With the help of the Risers, Noelle realizes that the words are precious clues to the earlier time, and as a child of their bookless age, she might be the very last reader. In Blood, Ink & Fire there are Nine Sovereigns, each with its own strategy for survival in a world controlled by Fell. In Fair Verona they chose prudence. In Ardenia they chose peace. In Fault’s End they chose retribution. In Fort Numb they chose pleasure. In Killem they chose violence. In Pedanta they chose knowledge. In Stoneleigh they chose stoicism. In Mount Memoria they chose to remember. Which Sovereign would you choose to live in? Me? My first instinct is to choose Fort Numb. Who wouldn't like to live in a world of pleasure? While others survive using violence, revenge, and knowledge, I'd be experiencing great feelings. However, being called Fort Numb does that imply that the people living there are numb to everything around them? Do they even know what is going on out in the world or are they only thinking of their pleasure? 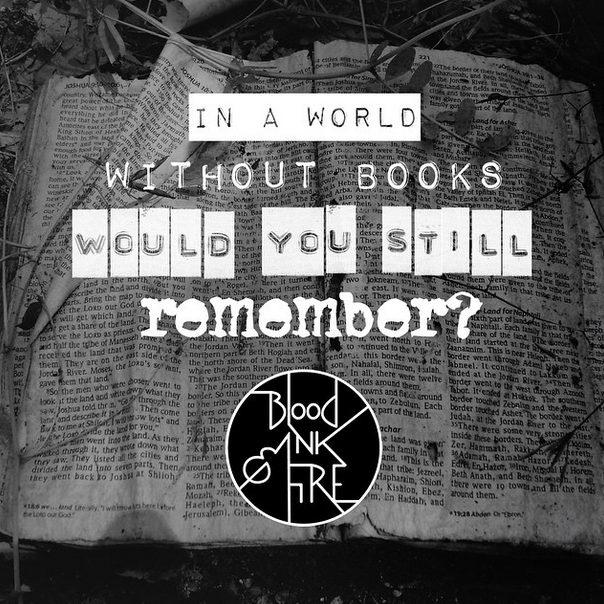 I can't wait for BLOOD, INK & FIRE to be released. I'm anxious to dive into this dark and dangerous world.